Chief Rabbi Berel Lazar walked 8 hours home from the airport Friday night rather than desecrate Sabbath after an official event in Russia. Last week Russia’s Chief Rabbi Berel Lazar was faced with a dilemma: he needed to be at an important ceremony with President Vladimir Putin, but it was scheduled for Friday, on the eve of Shabbat (the Jewish Sabbath), when Jews are forbidden from travelling or engaging in work. The memorial event was to be located in the Belgorod region, in the town of Prokhorovka, commemorating the 70th anniversary of the Battle of Prokhorovka. The Kremlin promised the rabbi a plane would depart immediately following the ceremony, two hours prior to the start of the Sabbath. This ensured the Chabad-Lubavitch emissary would be in Moscow an hour before the traditional Shabbat candle-lighting, as the flight was only an hour long. The president and World War II veterans did their part to honor the Soviet tanks that stopped the Nazi forces from breaking through the defense lines, as planned. Rabbi Lazar boarded the plane on time as well. But the pilot did not depart as scheduled, because military aircraft were still in the air, participating in the ceremony. Although the rabbi asked to be let off the plane, the pilot did not allow it. Instead, he vowed to make sure his Jewish passenger would reach Moscow at least 10 minutes before the Sabbath began. He kept his word – but it meant that Rabbi Lazar had barely enough time to telephone his son to let him know he would be delayed. Rabbi Lazar set out on foot, walking the 19 mile (30 kilometer) distance to his home – an eight-hour journey. He arrived at about 6:00 a.m., just in time to grab a quick bite to eat and a nap before leading services at the Marina Roscha Synagogue. 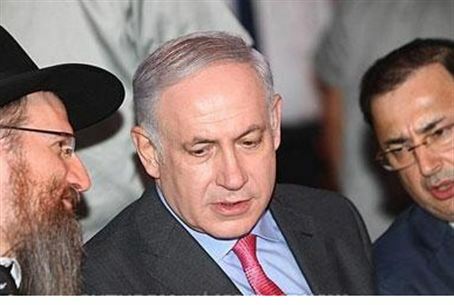 Sources close to the rabbi told Arutz Sheva the incident was an example of the special connection between Rabbi Lazar and Russia's president, explaining the rabbi chose to honor the wishes of the president although it was not required, and despite the great complexities involved in maintaining proper observance of the Sabbath.